The colorful, thermal-powered Champagne Pool formed in an a 700-year-old explosion crater near Rotorua, New Zealand. The blue water is full of gas bubbles containing carbon dioxide. 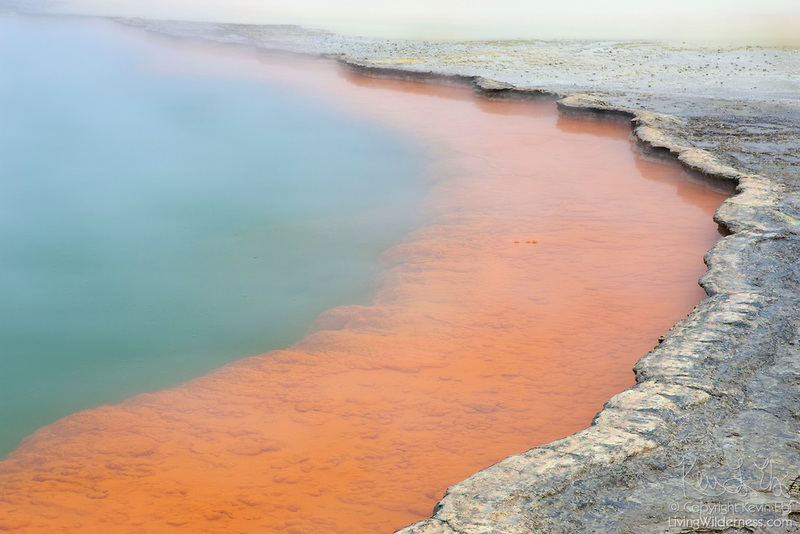 The dramatic orange rim contains arsenic and antimony sulphur compounds, including gold and silver. The water temperature in the pool averages 74 degrees Celcius (164 degrees Fahrenheit). The pool is located within the Wai-O-Tapu Thermal Wonderland, a protected park on New Zealand's north island.